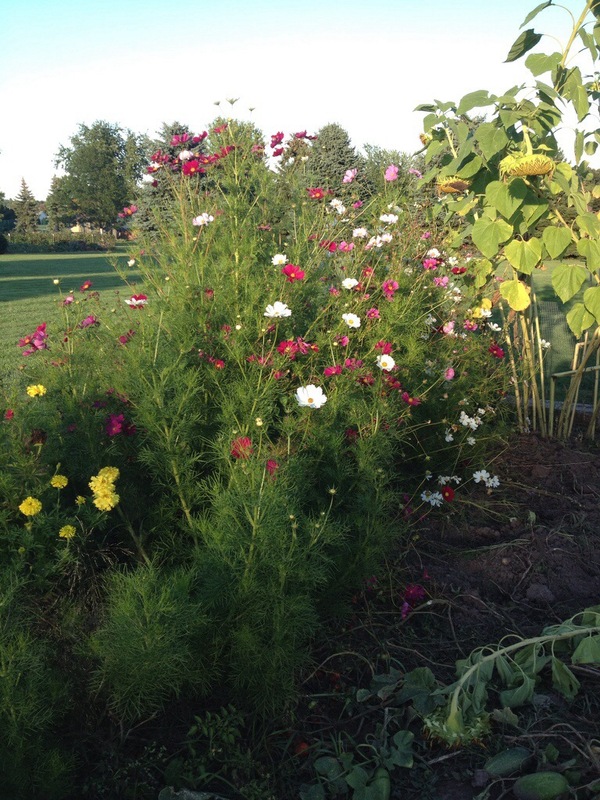 A quick post today, just to show off some of the flowers in my garden that continue to provide me with great color. 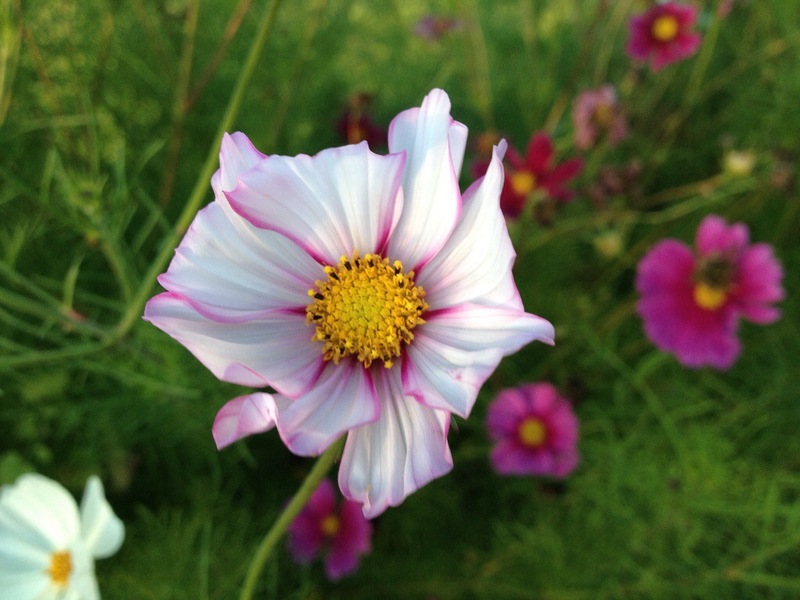 I just love the white Cosmos above, with the pinkish-red border on its petals. 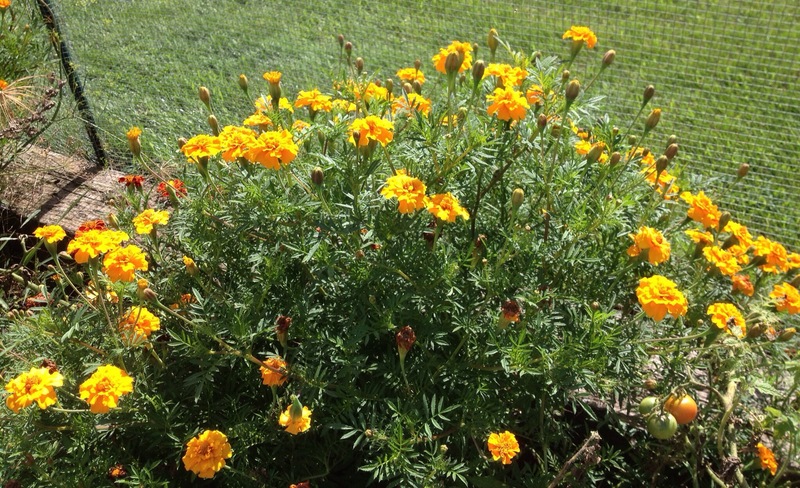 Or the variety of marigolds, which if the frost holds off, will keep budding forever, it seems. Even some of the sunflowers bow to the beauty of the Cosmos. 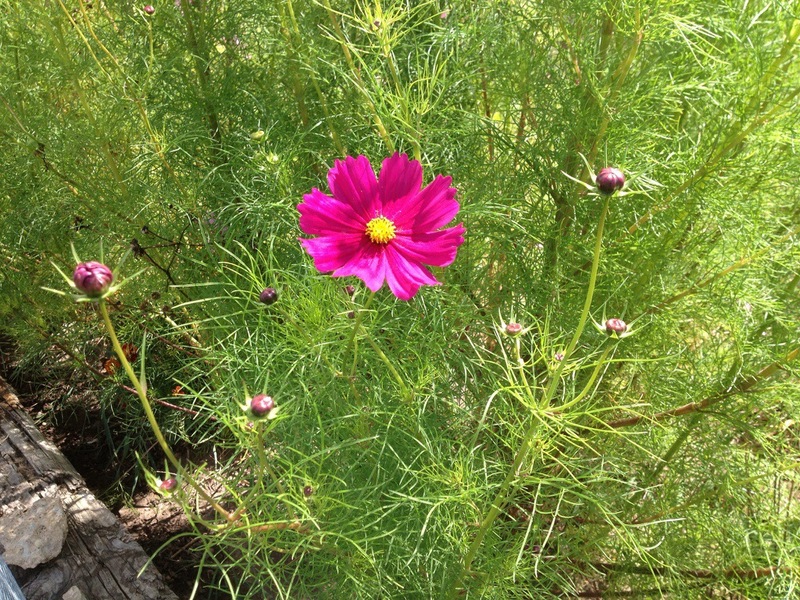 The Cosmos continue to keep up with marigolds, sprouting new buds. 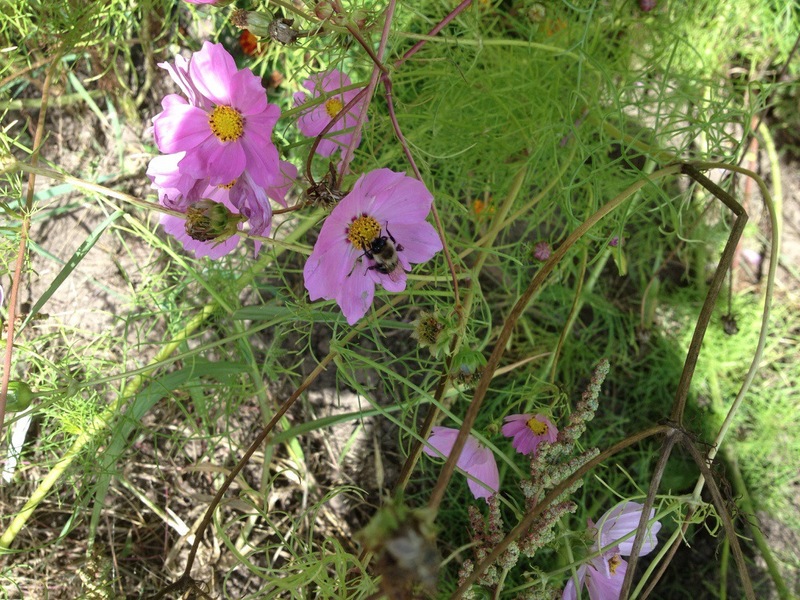 The bumbles sure are getting their fill in my garden this summer. YES! They have my vote!